A community based town hall conversation with the 34th District candidates is coming up July 24 in White Center. 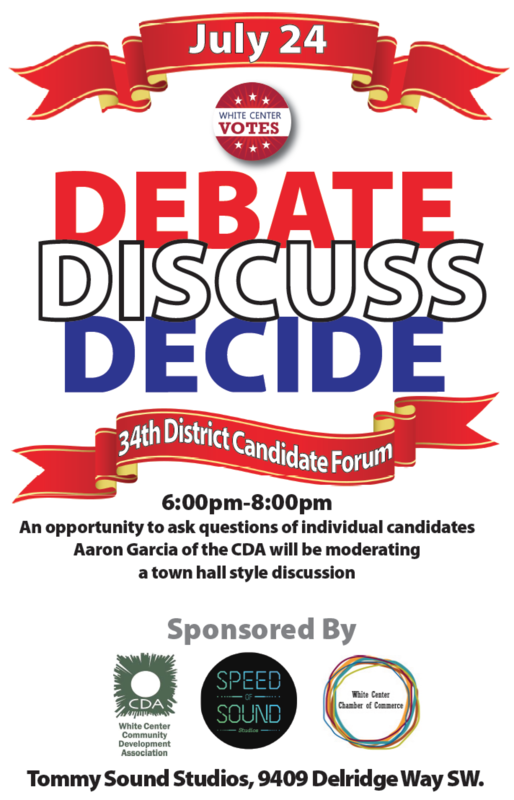 Sponsored by the White Center Community Development Association, the White Center Chamber of Commerce and TommySound/Speed of Sound Studios the event promises "An opportunity to ask questions of individual candidates" Aaron Garcia will be the moderator for the discussion. They are running for the seat vacated by the retiring Sen. Sharon Nelson.